Tory Leather makes a wide variety of halters, to meet all of your needs. This is Tory Leather&apos;s Riveted Foal Halter. It&apos;s very popular and recommended for foal safety. The only kind of halter that you should use on a foal is a leather halter that will break under great pressure. 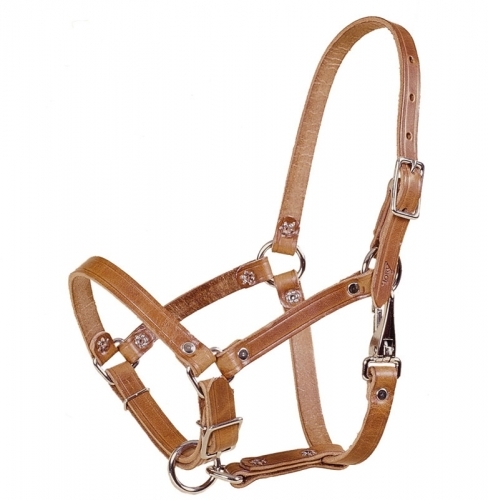 This foal halter comes with rivet construction, throat snap and adjustable nose. Tory Leather uses only the finest quality leather to make all of their products. And they&apos;re made by expert craftsmen, in the USA.